It's time to fly home for dinner! 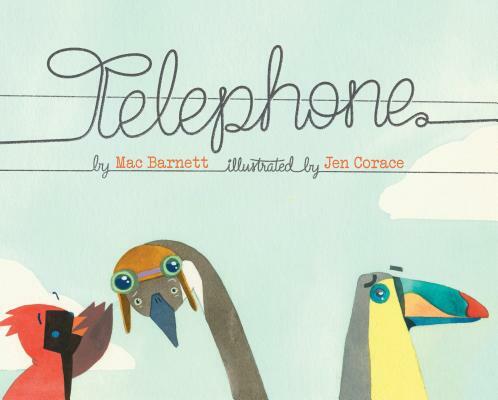 In this witty picture book from award-winning and bestselling author Mac Barnett, a mother bird gives the bird next to her a message for little Peter. But passing messages on a telephone line isn't as simple as it sounds. Each subsequent bird understands Mama's message according to its own very particular hobbies. Will Peter ever get home for dinner? This uproarious interpretation of a favorite children's game will get everyone giggling and is sure to lead to countless rereads. Mac Barnett is the New York Times bestselling author of several picture books, including Extra Yarn, which won a Caldecott Honor, the Boston Globe–Horn Book Award, and the E. B. White Read-Aloud Award. Mac lives in Berkeley, California. Jen Corace has illustrated a number of children's books, including Little Pea. She lives in Providence, Rhode Island.